Many American households look towards pinecone decorating as a form of fall and holiday decor that brings a magical sense of nature indoors to the home. 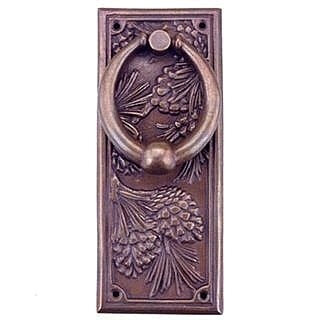 Made of solid brass, our rectangular pinecone door knocker comes with the lovely etched pinecone designs. Comes with mounting hardware.